Reviewing one of Codemasters' annual Formula 1 titles is a strange experience, because the quality of the game is inevitably going to be somewhat influenced by the quality of the sport itself, and if we're perfectly frank, Formula 1 is in a bit of rut right now. It isn't just that Sebastian Vettel is so much faster than every other driver that he's stopped ageing due to the effects of time dilation, or that Sky have nicked the broadcasting rights of all the good races in order to feed Rupert Murdoch's insatiable money cravings. It's that all the fun phrases in racing, like "overtaking", "battle for first place" and, er, "racing", have been replaced by dull mechanical jargon like "tyre wear", "telemetry analysis", and "pit-stop times." These days you need a degree in mechanical engineering just to understand what is happening in Formula 1, which is pretty disastrous when you consider that Formula 1 ultimately boils down to some fast cars going around in a circle lots of times. 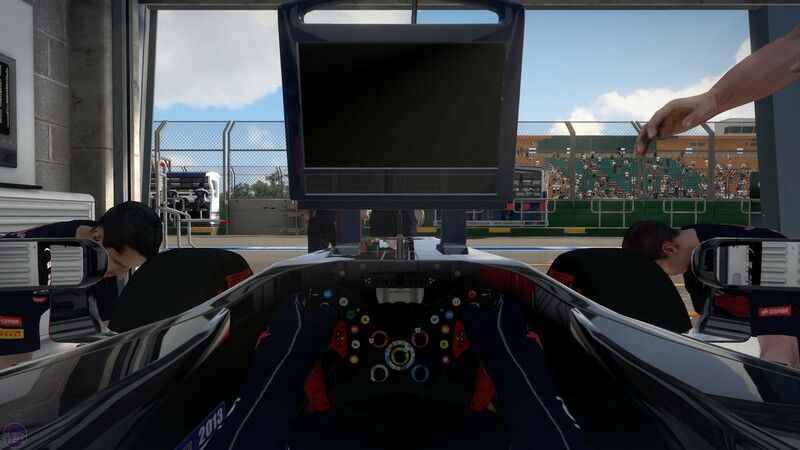 Codemasters are clearly aware of the stagnation and mathematical rigidity that has afflicted the sport lately, but given the annual F1 franchise is a simulation, they can't exactly add power-ups or lava-traps to make the game more interesting. So instead they have looked to the past to add a little spice to this year's update, introducing a "classics" mode that lets you race as some of the greatest drivers in some of the greatest cars of the recent past. But is it enough to put F1 in pole position? (ugh, sorry). Well, nearly. We'll talk about that presently, but first let's discuss the other content in F1 2013, because there's plenty of it, albeit not a huge amount that's new. The first port of call for many players will likely be the career mode, because that's ultimately where the meat of the game lies. This is a bad idea, because the career mode has the potential to be the least fun part of the game. 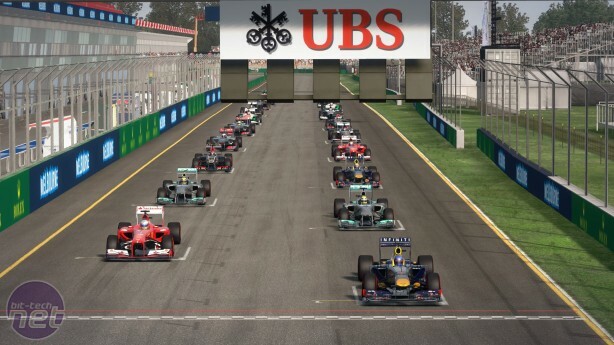 The career mode sees you assume the role of a young and plucky driver looking to make his mark on the F1 world. 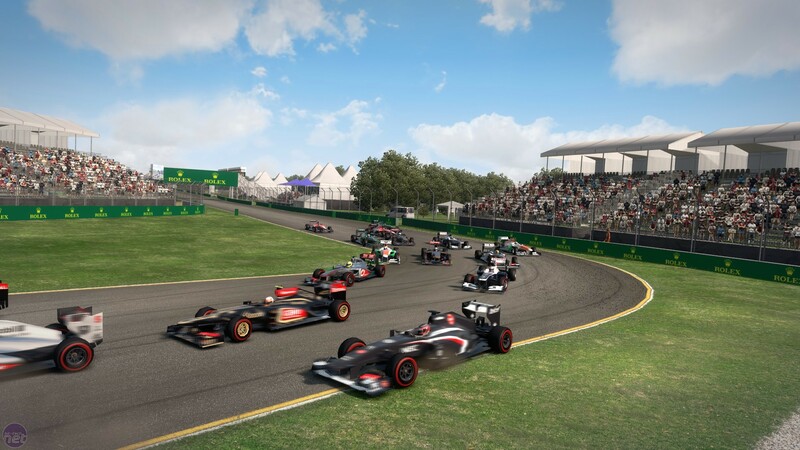 Starting in one of the sport's lesser teams, Torro Rosso, Caterham and so forth, you gradually make a name for yourself by completing objectives like finishing above certain positions, or beating your teammate, which leads to offers from more powerful teams. Alternatively, you can complete R&D objectives that lead to car upgrades to make your team more competitive. It's worth noting the career mode is the long-haul approach to F1 2013. It includes full race weekends. Practice, Qualifying, and then the grand prix itself, the minimum length for which is 15 laps, with fully simulated pit stops. This means there's plenty of opportunity for things to go wrong, and if you're new to the game, things will go wrong a lot, because driving a modern F1 car is like driving a temperamental supercomputer strapped to a jet engine. To their credit, Codemasters have included a comprehensive driving school tutorial that introduces you to how the cars handle, but of course it can't prepare you for what the tracks are like, and track-knowledge is key to succeeding in Formula One, knowing when and how much to brake as you come to the end of a straight, how to thread your car through a corner like a vehicular seamstress, and when to use KERS to give your car an 80BHP boost.